The Art Lending Library is an evolving social sculpture housing a diverse collection of artworks that can be enjoyed in your own home. 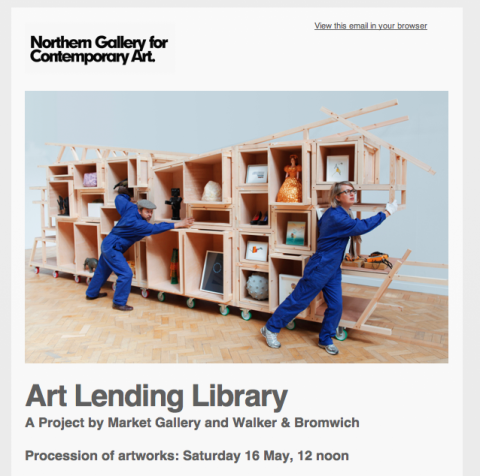 Join us on Saturday 3rd May for a celebratory procession of Walker & Bromwich’s mobile library structure through Darlington town centre. Departs from Life Pulse sculpture on Blackwellgate at 12 noon.